Karel Terwel studied Civil Engineering at Delft University of Technology and graduated in 2001. 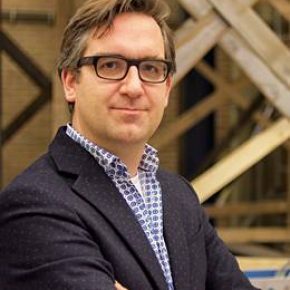 From 2001 until 2007 he worked as a structural designer/ project leader at Zonneveld Engineers on complex structural designs like two office towers (height: 146m) for the government in The Hague (awarded Dutch concrete prize 2013) and the Palace for music in Utrecht. Since 2007 he has been a lecturer (from 2015: assistant professor) focusing on structural design and safety. He teaches courses in structural design and in forensic engineering. Karel finished his PhD on human and organizational factors influencing structural safety in 2014. Apart from this research, his research interest focuses on damage of structures. From 2016 Karel is coordinator structural safety at Delft Safety and Security Institute. This study aims to stimulate multidisciplinary research related to safety and security. In 2013 Karel Terwel founded Coenraedt B.V. He is committed to providing consultancy in investigations of structural failures, second opinions and structural risk management. He is vice-chair of IABSE’s WG8 Forensic Structural Engineering and member of the editorial advisory board of the ICE’s journal Forensic Engineering.